Thread: Wolfram Alpha: Wikipedia killer? It seems that most people who have had the chance to use Wolfram Alpha (myself included) agree that it will do a few things to Google: it will drive it to innovate in semantic search and it will complement its high-volume search capabilities quite nicely. It will not, however, kill Google. I think a wikipedia killer is in the making. however, it is a type of mathematical knowledge base search engine which provides the results very effectively and informatively. Nice find man...its really interesting and inforamative too. 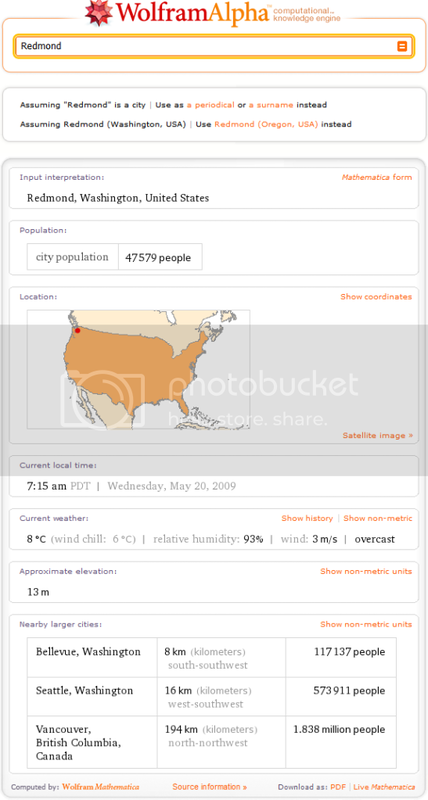 The Wolfram|Alpha 'computational knowledge engine' has been launched. The site differes from a regular search engine as it processes queries to return the actual answers, instead of returning a list of web pages that may contain the result. Creator, Stephen Wolfram, described the search engine as "a new paradigm for using the computer and the web". However, he stressed that it is designed to complement, rather than rival, search engines such as Bing or Google. 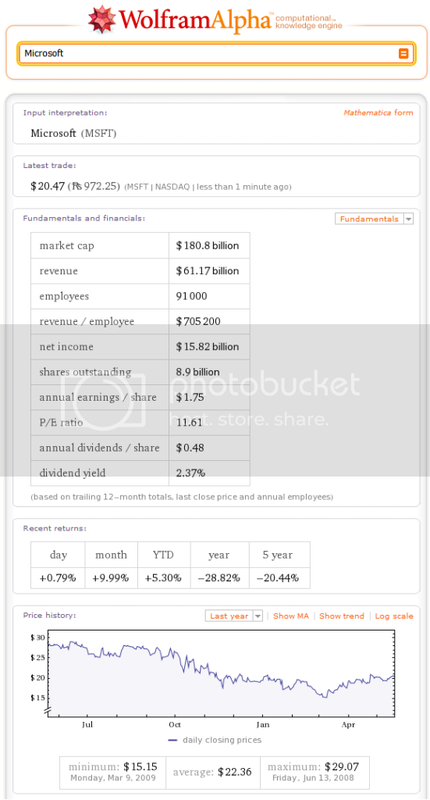 Wolfram Alpha answers questions from its own store of knowledge, curated by Wolfram staff, rather than trawling and indexing web pages like Google. This also allows it to make relationships between information. For example the quary 'temerature UK 1940 to 2007' brings up an average temperature and a graph of temperatures over the period. Clicking for more information gives humidity, pressure and wind-speed information over the same period. Sorry mate must have missed that post.